Godzilla has always been a series I found fascinating. Watching the movies from Toho back in the 80s and 90s was fun. They had a level of charm that few other movies could recapture. The concept of giant creatures rising from the ocean to cause destruction to all the civilisation we hold dear was strangely compelling. It seems a no brainer to build a game around. A giant monster taking to the city. Your only mission is to cause deviation in your wake. Seems like a ludicrously easy concept to execute on. Yet very few of the games built on this concept where fun, or engaging or half the time even playable. The people at Natsume Atari Inc want to challenge this idea and built something that all the fans can get behind. Sitting and talking with the staff on site, it was clear they care about the franchise. Talking in a loving way about all the characters that the movie universe has birthed. 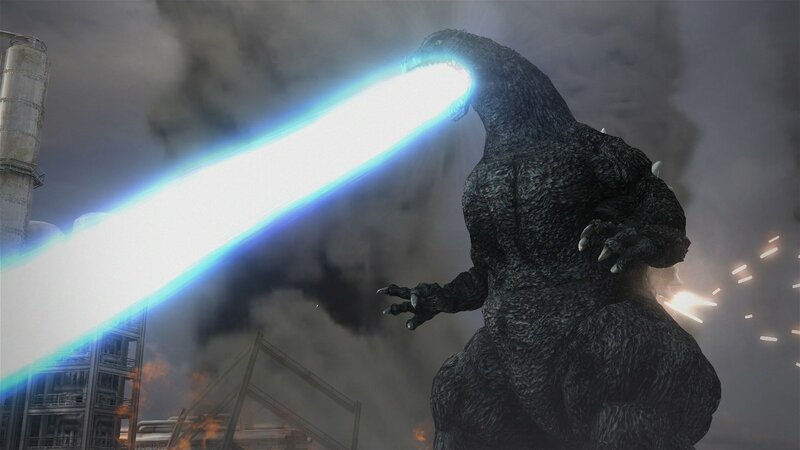 This is a team that loves Godzilla and wants it to be just as amazing on the game console as on the movie screen. They have a large selection of characters, crafted by people that love the series. They have a simple concept that captures the look of the old movies, and they have ways to make the player feel a part of the action. The real question is: will this all be enough to make fans happy? When I finally got my hands on the game I was excited to finally see what all the fun was about. Taking control of the classic monster himself, Godzilla was exhilarating at first. 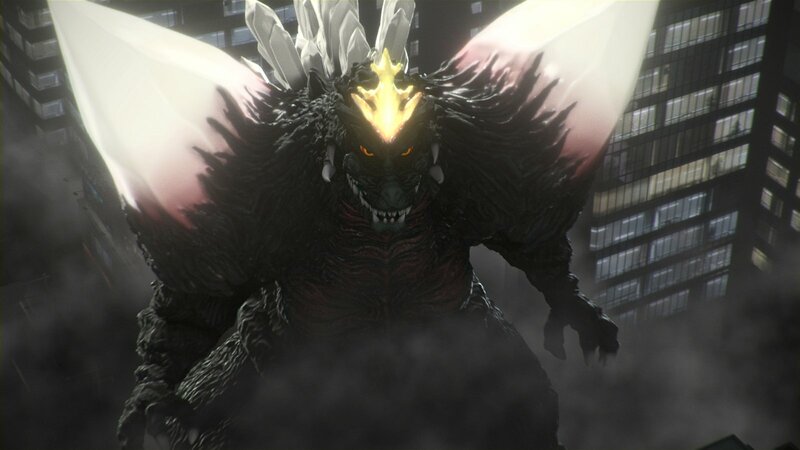 In the demo I was able to get a look at Space Godzilla and King Ghidorah along with the character I got to play as, Godzilla himself. The people at Natsume Atari managed to capture the look as I would have hoped. Playing on the PS4, the graphics manage to capture the look of the old movies. They even managed to make the buildings and overall landscape feel like a cheap set. I even asked, the look and feel was all intentional. They want the buildings to feel cheap and to break apart like cheap wood. Now if you are thinking, what could they have messed up? I have to say, the controls do take a bit to get used to. Your monster moves very slowly, and to even exacerbate the situation more, turning is not handled on the right stick as you would expect. You must use the left and right bumpers to turn. Now this sounds awkward, and it is, but after a few minutes of playing, it did feel good enough to enjoy the destruction of Tokyo! The team have done a few things to create that Toho cinematic experience. The look of the monsters and the world, but also the way the camera moves around the landscape. They have made a few select unlockable locations that feel as if they are from the pedestrian’s point of view. Seeing the destruction you are causing from the street is astounding, and fare more exhilarating then I would have imagined. It would be nearly impossible to play the full game like that, but for short bursts it made for a great breakup of the monotony. The battles once you finally reach them feel as you would expect. 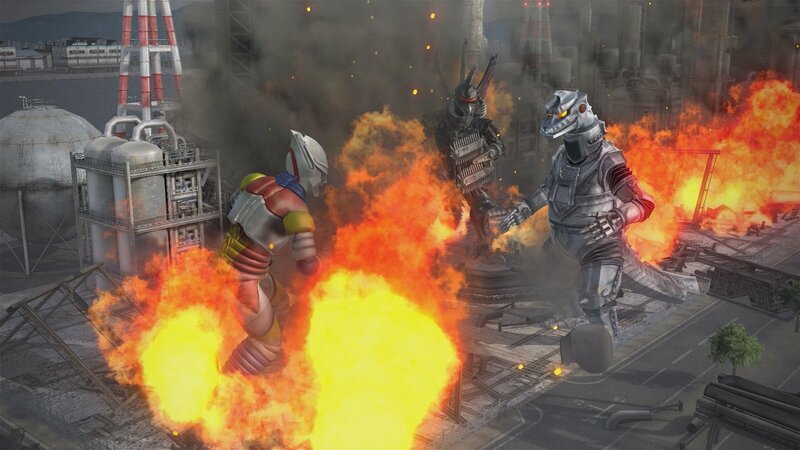 This is a monster fighting game at its core and the brawling the different kaiju is really what people would come to the game for. Despite fighting with the controls, the actual fighting was fun. Throwing creatures into skyscrapers and shooting lasers into them as they fall to the ground was fun, yet things only really got interesting once they added a second monster to the fight. It should be noted that only the PS4 version of the game allows this feature, but once it is working it actually possess a challenge. There were also elements people may know from the GTA franchise of games. The more destruction you cause, the more the human forces will try and strike back. 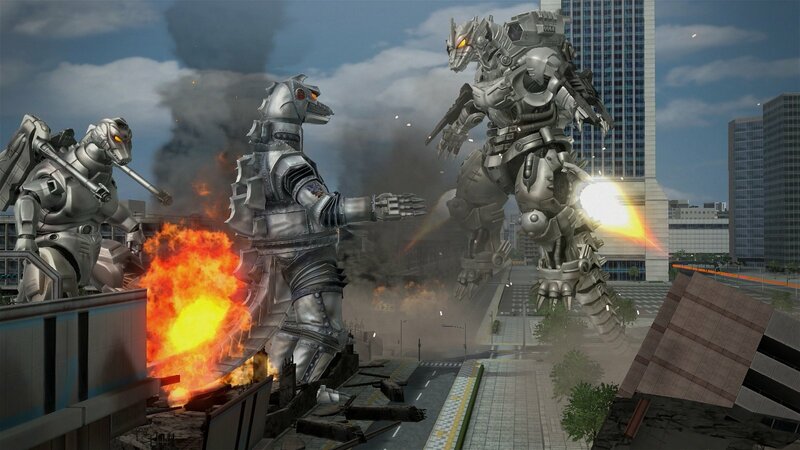 Starting with light military slowly ramping up to plans, air strikes and all the way to Mecha Godzilla. In the short time I had with the game, this was noticeable. Planes would attack as I struggled to fight other creatures. It was enough to add a level of challenge to the way you fought, and I am sure would lead to some interesting scenarios in the harder later game battles. Now it should be mentioned, much of the stuff discussed here is only available on the PS4 version of the game. 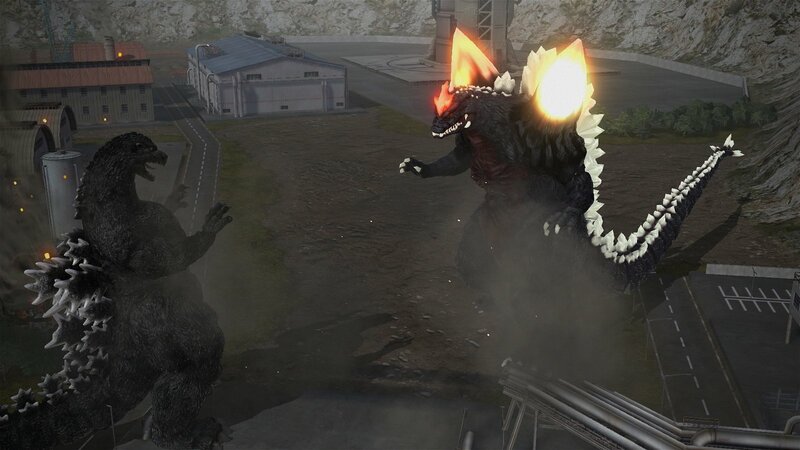 The PS3 version will not have multiplayer, and will only have the single player local play and will only allow you to fight one kaiju at a time. The PS4 on the other hand, will allow you to fight two enemies and will feature online multiplayer to battle your friends. Talking to the developers at Natsume Atari they talked about the different ways you could play. They provide the choice to destroy or defend so you are either the saviour of the city or the force that will drag everyone down. This is something that sounds very exciting, sadly none of this was on display for the demo so can only comment on the concept. If this is as fleshed out as they say, it could lead a very interesting dynamic to the way the game is experienced. The battle only lasted for around 10 minutes, but that seems like all the length I could really play this game. Unless actually playing against real people, I fear the novelty of the experience will wear off quick. For Godzilla fans this feels like a game they have been waiting for, it has all anyone could ask from that style of game. My real fear is the experience will get old fast. It is fun to play for 10 minutes, but can the team keep things interesting enough for hours of play? That will be the real challenge. We will have to wait to the final game is released to see if there is more to the experience then a mindless brawl, although from what I have seen so far, it will be a fun brawl either way. 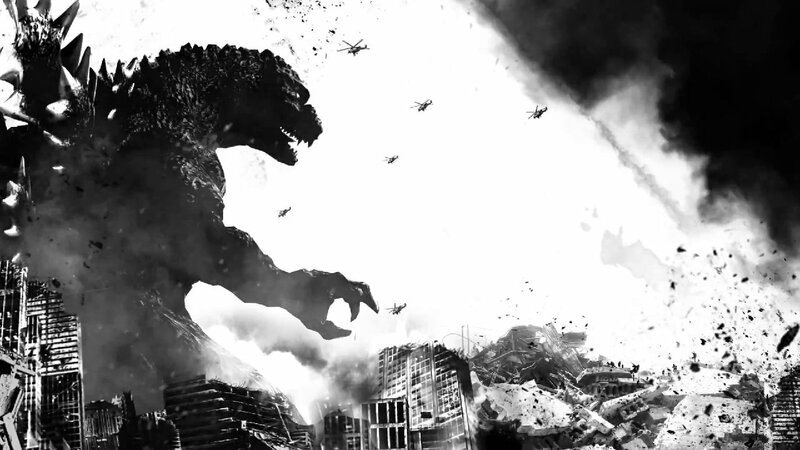 Godzilla comes out for the PS3 and PS4 July 14th 2015.